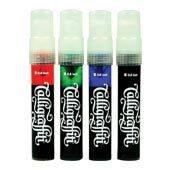 This is the limited edition On The Run .084 Calligraffiti Flowpen Marker. 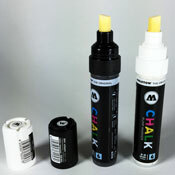 This marker is a collaboration between OTR and the artist Shoe. Shoe is the artist behind the book Calligraffiti and the movement combining graffiti with the stylization of calligraphy lettering. This marker features a custom nib designed by Shoe. It's a T-Nib with a sharp angle cut into it, allowing you to make various line thicknesses ranging from really wide to ultra thin. 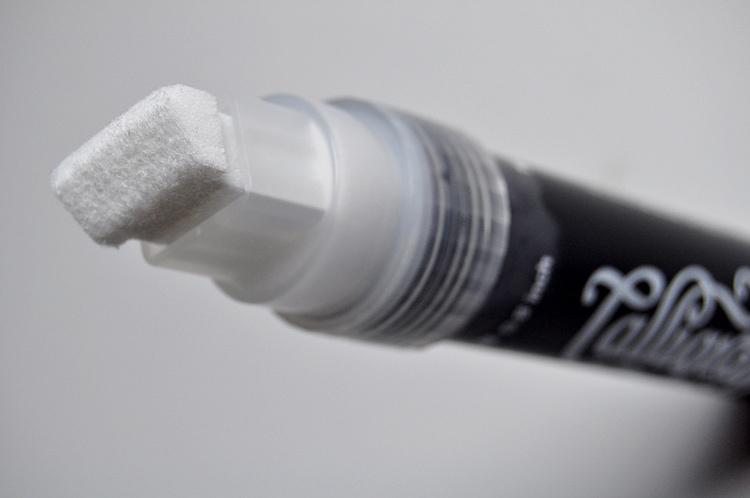 The marker comes filled with OTR's excellent Flowpen Ink. 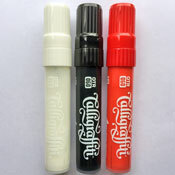 It also features the Calligraffiti logo on the side on the marker, making it somewhat of a collectors item. 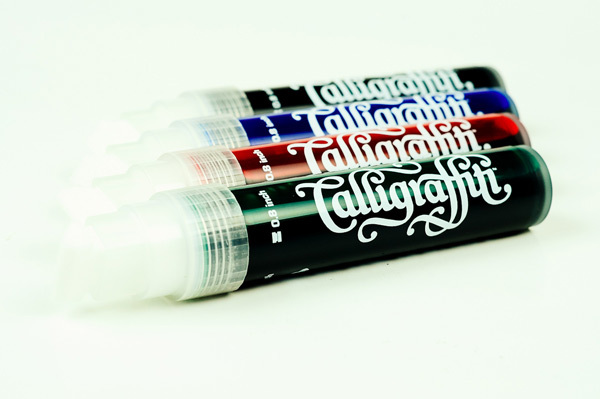 If you're into really technical handstyles, or you like to practice calligraphy lettering, this marker is a must have. 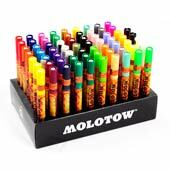 best Cali Graffiti marker on the market write on sh*t that won't eat away at your Nib. Hard to find a replacement nib so i bought 2 from parallel universes together. 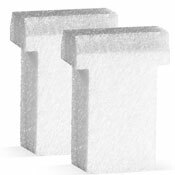 This product was added to our catalog on Tuesday July 06, 2010.